Our Cancer in Primary Care Research Group conducts research covering the role of primary care across the cancer continuum (see Figure). This includes studies on cancer screening, cancer diagnosis and survivorship care. We are interested in the application of risk stratification and risk assessment tools to support more tailored and specific care across the cancer continuum. This includes, for example, our work in colorectal cancer screening and the implementation of fast track pathways for suspected cancer using risk assessment tools in general practice. Our work also examines potential causes of poorer cancer outcomes in specific populations including rural and culturally and lingually diverse communities. We have recently completed an RCT testing a model of shared care for men with prostate cancer and are developing similar models for other common cancers. We are a highly collaborative group having formed strong collaborations with several local, national and international research groups who share our interests in primary care oncology. This is supported through the Primary Care Collaborative Cancer Clinical Trials Group (PC4) of which Prof Jon Emery is the Director. PC4 is funded by Cancer Australia to support the development of high quality cancer research in primary care. Our Group provides an infrastructure to foster collaboration between researchers, health care practitioners, policy makers and consumers. We provide access to expert advice and resources through our Support Services, and build research capacity with our Training Awards, Workshops and Mentoring Programs. Further information about becoming a member of PC4 and learning more about ways to support your research is provided on the trial group’s website. 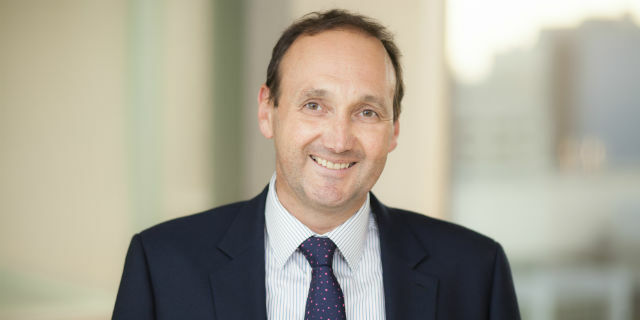 Prof Jon Emery has a long-standing collaboration with Dr Fiona Walter at the Primary Care Unit, Department of Public Health and Primary Care, University of Cambridge. Together they lead a joint research programme between Melbourne and Cambridge with a focus on cancer risk assessment and early diagnosis – The CamMel Collaboration. Current studies within this collaboration include: The CHEST Trial, CanTest, CRISP, CanRisk and the Melatools programme. Our research is funded by the National Health and Medical Research Council (NHMRC), Cancer Australia, Cancer Council Victoria, Department of Health Victoria and the BUPA foundation. Wilson, E.C.F., et al., Expert Elicitation of Multinomial Probabilities for Decision-Analytic Modeling: An Application to Rates of Disease Progression in Undiagnosed and Untreated Melanoma. Value Health, 2018. 21(6): p. 669-676. Walker, J.G., et al., The use of a risk assessment and decision support tool (CRISP) compared with usual care in general practice to increase risk-stratified colorectal cancer screening: study protocol for a randomised controlled trial. Trials, 2018. 19(1): p. 397. Signorelli, C., et al., Recruiting primary care physicians to qualitative research: Experiences and recommendations from a childhood cancer survivorship study. Pediatr Blood Cancer, 2018. 65(1). Signorelli, C., et al., The Role Of Primary Care Physicians in Childhood Cancer Survivorship Care: Multiperspective Interviews. Oncologist, 2018. Rubin, G., et al., Reimagining the diagnostic pathway for gastrointestinal cancer. Nat Rev Gastroenterol Hepatol, 2018. 15(3): p. 181-188. Nair-Shalliker, V., et al., Factors associated with prostate specific antigen testing in Australians: Analysis of the New South Wales 45 and Up Study. Sci Rep, 2018. 8(1): p. 4261. Mazza, D., et al., The LEAD study protocol: a mixed-method cohort study evaluating the lung cancer diagnostic and pre-treatment pathways of patients from Culturally and Linguistically Diverse (CALD) backgrounds compared to patients from Anglo-Australian backgrounds. BMC Cancer, 2018. 18(1): p. 754. Lew, J.B., et al., Evaluation of the benefits, harms and cost-effectiveness of potential alternatives to iFOBT testing for colorectal cancer screening in Australia. Int J Cancer, 2018. 143(2): p. 269-282. Lew, J.B., et al., Benefits, harms and cost-effectiveness of potential age-extensions to the National Bowel Cancer Screening Program in Australia. Cancer Epidemiol Biomarkers Prev, 2018. Kim, G.Y., et al., The CRISP-Q study: Communicating the risks and benefits of colorectal cancer screening. Aust J Gen Pract, 2018. 47(3): p. 139-145. Emery, J.D., et al., The Improving Rural Cancer Outcomes Trial: a cluster-randomised controlled trial of a complex intervention to reduce time to diagnosis in rural cancer patients in Western Australia. Br J Cancer, 2018. 118(6): p. e8. Dillon, M., et al., Family history-based colorectal cancer screening in Australia: A modelling study of the costs, benefits, and harms of different participation scenarios. PLoS Med, 2018. 15(8): p. e1002630. Croager, E.J., et al., Find Cancer Early: Evaluation of a Community Education Campaign to Increase Awareness of Cancer Signs and Symptoms in People in Regional Western Australians. Front Public Health, 2018. 6: p. 22.
van Die MD, Bone KM, Emery J, Williams SG, Pirotta MV, Paller CJ. Phytotherapeutic interventions in the management of biochemically recurrent prostate cancer: A systematic review of randomised trials. BJU Int. 2016 April; 117 (4):17-34. Usher-Smith JA, Walter FM, Emery JD, Win AK, Griffin SJ. Risk Prediction Models for Colorectal Cancer: A Systematic Review. Cancer Prevention Research. 2016 Jan; 9(1):13-26. Neal RD, Tharmanathan P, France B, Din NU, Cotton S, Fallon-Ferguson J, Hamilton W, Hendry A, Hendry M, Lewis R, et al. Is increased time to diagnosis and treatment in symptomatic cancer associated with poorer outcomes? Systematic review. British Journal of Cancer. 2015 Mar; 112:S92-S107. Walker JG, Licqurish S, Chiang PPC, Pirotta M, Emery JD. Cancer Risk Assessment Tools in Primary Care: A Systematic Review of Randomized Controlled Trials. Annals of Family Medicine. 2015 Sep; 13(5):480-489.